"Hey Diddly Dee" episode starring Kylie Minogue airs on April 18th, 2013 on Sky Arts HD! 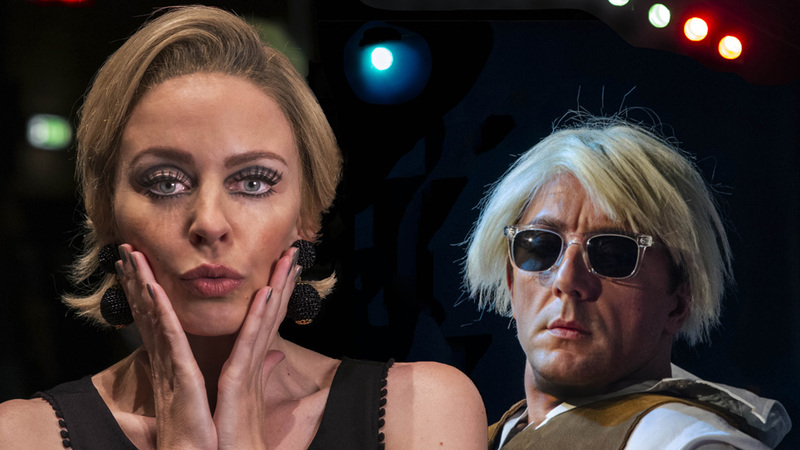 Kylie Minogue is not quitting music and is definitely not wasting any time giving her acting career a new life, appearing in her first project for Sky with Playhouse Presents… Hey Diddly Dee which has been written and directed by Marc Warren. An all-star line-up is set to appear in the new series of Sky Arts' exclusive comedy and drama strand, Playhouse Presents… beginning April 18th, 2013 on Sky Arts 1 HD. The new season will feature: Kathy Burke, Frances Barber, Julia Davis, Idris Elba, Anna Friel, Rebecca Front, Stephen Graham, David Harewood, Ian Hart, Sharon Horgan, Mathew Horne, Suranne Jones, Kylie Minogue, Vanessa Redgrave, Peter Serafinowicz, Matt Smith, Johnny Vegas, Marc Warren, Jack Whitehall and Reggie Yates. "When the script was sent to me, I read it and knew instinctively I wanted to be part of this project," said Kylie. "In Hey Diddly Dee, Marc has created a beautiful and quirky story. I have also enjoyed many of the Playhouse Presents… series and love that they have created a platform for this type of work." Kylie is playing a character, called Bibbi, based on Andy Warhol's muse Edie Sedgwick. Comic Peter Serafinowicz will play artist Warhol. 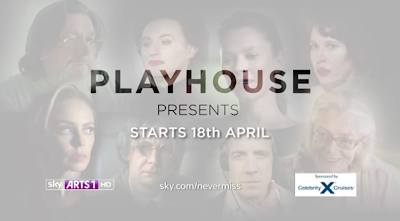 Hustle actor, Marc Warren (and the director of the 1st episode, starring Kylie) commented: "Writing and directing for Playhouse Presents… has been one of the most magical experiences of my career. To give myself the best chance I called in every favour to surround myself with a dream cast and an incredible crew. And then by some miracle, Kylie appeared, and the fate of our film was sealed." For every star that is born...one has to die. When the star of the show suffers a tragic accident who is to blame? The understudy? A faulty trap door? Or the theatre's lucky cat? A dark comedy-drama about drama starring Kylie Minogue, Mathew Horne, Peter Serafinowicz, David Harewood, Paul Kaye and Lee Boardman. Kylie Minogue is a cover-girl again :) This time it is for her home-country magazine, Madison. Here's a teaser to a cover story with the gorgeous Kylie by Fiona MacDonald. Kylie, now 44, recently wrapped up a huge year celebrating 25 years in the business – K25, as she and her team dubbed it. It's an impressive feat for any artist, especially in an industry that's notorious for chewing up and spitting out (or simply never noticing) the girl-next-door soap actresses who've tried to cut their teeth in other mediums. To mark the occasion, she released a stunning coffee table book, Kylie/Fashion (Thames and Hudson) with her long-time stylist William Baker, a chronicle of her career as told through her many iconic style moments. Late last year, she treated fans to The Abbey Road Sessions, an album that took her most-loved tracks and rearranged them with orchestral backing. Finally, to top it all off, she welcomed in the new year in Australia, serving as creative ambassador for the Sydney New Year’s Eve fireworks ceremony and celebrating with the crowds on the harbor. You would be forgiven for thinking her career (and derriere) are the results of meticulous planning. But Minogue admits that, while guilty of working very hard, a lot of her greatest opportunities throughout the years have come to her. For Minogue, that was the Neighbours audition she attended when she was 17, after leaving school to pursue acting full time. More recently, there was the chance encounter she had whilst getting her hair done in Paris. Though she's made a smattering of film appearances over the years, at the time, she says, “I wasn't actively pursuing acting.” But she met French director Claire Denis “while we both had a head full of foils." Denis, a good friend of fellow director Leos Carax, would go on to suggest Minogue for a key role in his most recent film, the hard-to-describe (and fantastically off-kilter) drama Holy Motors, which opened at the Cannes Film Festival to broad critical acclaim and also stars Eva Mendes and Denis Lavant. Last year, she also made a brief (and almost unrecognizable) appearance in risqué indie film Jack and Diane. “It has re-lit that fire for me,” says Minogue. “I would like to do more acting.” Fittingly, a few weeks after we spoke it was announced she would star in Walking on Sunshine, a musical set in Spain that will feature '80s hits and plenty of dancing – it sounds like a delightfully Latino, disco-fied version of Mamma Mia! Really, for all her mainstream success, Minogue has never shied away from making some brave but questionable artistic decisions, such as leaving her original record label Stock, Aitken and Waterman in 1992 to take more control of her song writing or releasing 1997's rock-inspired album “Impossible Princess” with the help of indie music legends such as The Manic Street Preachers. 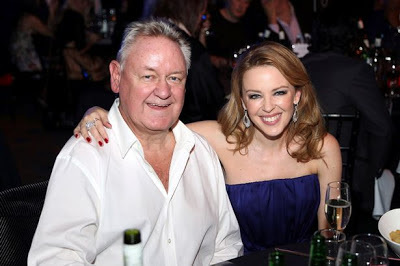 Mirror reports that Kylie Minogue parted ways with the manager, Terry Blamey, after 25 years of journey together. The tabloid says that the decision was mutual and was made in September, and the partnership ended on the New Year's Eve. "Kylie has decided to pull back slightly from the pressures of her career and devote more time to herself and her acting career," Blamey said. "This is not to say she will be retiring from music, just taking a bit of a break." One thing I can assure you of is that Kylie Minogue is NOT quitting music any time this soon, as she mentioned it herself many times in recent interviews. The change in her team does not mean she decided to just quit the singing career after just finishing the celebration of one of the biggest years in her music life - K25. A spokeswoman for Minogue said she is "definitely not retiring from music." "As we reach this fork in the road after a wonderful 25 years working together, we do so amicably, wishing each other nothing but the very best for each other's continued success,"
for Fairfax Media in a text from London. On January 10th, Beyonce announced the "first original Destiny's Child music in eight years" on her Facebook page. 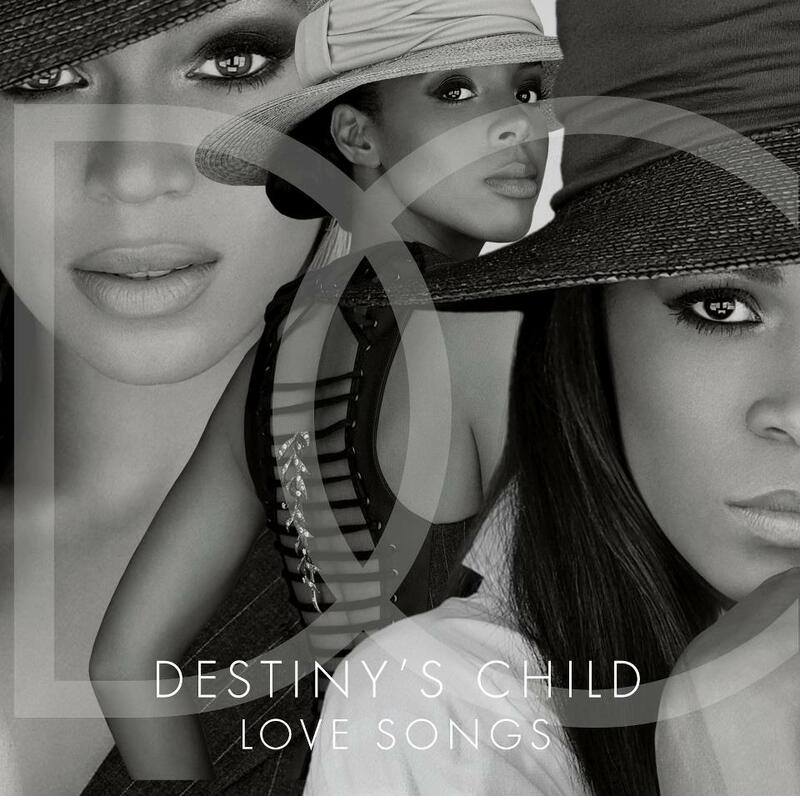 The LP, called "Love Songs", is out on January 29th, 2013 and will feature 13 previously released Destiny Child's ballads, including "Emotion" and "Cater 2 U" along with a new track called "Nuclear", which will be the group's first new offering since 2004. The new song was produced by Pharrell, who co-wrote the song with Michelle Williams. "Love Songs" is already available for the pre-order from Amazon. Sharon Osbourne has responded to an open letter written by Lady GaGa for daughter Kelly. GaGa's letter was posted to her Little Monsters social network on Thursday (January 10, 2013) and was in response to Fashion Police co-host Kelly's claims that she had been bullied and received death threats on social media from people identifying as fans of the musician. Here you can read both: Lady GaGa's open letter to Kelly Osbourne and Sharon Osbourne's answer. Dear Kelly, While I wish you had reached out to me personally, as the head of the Born This Way foundation with my mother Cynthia we would like to respond. Everyday, through my music and public voice I choose to be positive and work towards a kinder and braver world with our community of followers. I encourage them to ignore criticism, stand up to bullies, know their own value and see that we are all the same and no one person is worth more than another. I know I'm perceived as a wild child, but in reality I am woman that deeply cares for humanity. I have empathy for you Kelly, but I feel it culturally important to note that you have chosen a less compassionate path. Your work on E! with the Fashion Police is rooted in criticism, judgment, and rating people's beauty against one another. "Appearance" is the most used reason for bullying in the world. Your show breeds negativity, and over the years has even become comedic in nature. It glorifies you and Joan Rivers pointing in the camera, laughing, and making jokes about artists and celebrities as if we are zoo animals. What about your body revolution? It used to make me truly sad when I would hear people talk about your weight when you were younger, as I was bullied too. To see you blossoming into a beautiful slender woman who makes fun of others for a living is astounding. Why not help others? Why not defend others who are bullied for their image and share your story? I am pointing this out not to take a crack at your character, as we've met before and you're lovely. However, I urge you to take responsibility and accountability for the example that you are setting for young people. They look up to you because you are famous, and if you treat others that way on TV, many adolescents at home on twitter assume your actions are acceptable: well if she does it, why can't I? I cannot control my fans, and I discourage them from any negativity and violence, because that is wrong and hurtful -- and I do feel baldy (sic) that your feelings were hurt. However, we can all do our part in the media to set a standard of respect, compassion, and love. I wish for you to be treated with the kindness and respect that everyone deserves. While some of my fans have learning to do, most of them share the same values as I, and it's what bonds us together. And that bond is strong. PS. And to any media or celebrities that happen to find this letter in their path, I hope you, too, consider the power of your voices. Lets work together and make 2013 a year of unity. I am responding to your open letter to my daughter Kelly, and I am perplexed as to why you would go public with an open letter. Regarding this current situation; Kelly didn't contact you, I was the one that contacted your manager today and the email is attached below for your reference. I reached out to him as Kelly's manager and mother to ask him if you could address your "little monster" fans and stop them from writing libelous, slanderous and vile comments about my family, including death threats to Kelly. Your open letter is hypocritical and full of contradictions. And as your mother Cynthia supports you, I support my daughter Kelly. I must say your opinions on what is politically correct and acceptable totally differ from mine, but that is what makes the world so interesting… we are all different. How sweet that you have empathy for my daughter, as you feel that she has taken a less passionate path in life. You say her work on E! with the Fashion Police is "rooted in criticism, judgment, and rating people's beauty against one another". Welcome to the real world. Example, when I saw you wear a dress made out of raw meat, I was sickened. When I see you wearing fur, and using it as a fashion statement, the fact that defenseless animals have been killed so you can get your picture in the press is abhorrent to me. Shouldn't you be teaching your "little monster" fans to respect animals and life? I don't feel I have to justify Kelly's choices in life to you. By your actions to Kelly right now, you have shown me that you are nothing more than a publicly (sic) seeking hypocrite and an attention seeker. You know it would have been much more dignified of you to do this privately. I am calling you a bully because you have 32 million followers hanging on your every word and you are criticising Kelly in your open letter. Are you so desperate that you needed to make this public? You state, "Everyday, through my music and public voice I choose to be positive and work towards a kinder and braver world with our community of followers." Well this obviously is not translating well to your fans, as a large portion of them have not only been vile to Kelly, but also other celebrities such as Madonna, Adele and Rihanna. You say "a kinder, braver world". I don't know what world you live in, but supporting disgraceful fan comments doesn't fall under the words "kinder and braver". It comes under the heading of bulls**t.
In closing, stop wearing fur, stop looking for publicity, and stop using your fans to belittle not just Kelly but an endless stream of celebrities. A word from you would stop all the hideous, negative and vile threats from your "little monsters". Let me know if you want to continue this debate. I'm an open playing field for you my darling. The "real world" can be cruel, why not try to change it into a better place? I am an activist. Nobody takes adolescents seriously, I do. My letter to Kelly Osbourne was open, because her statements on cyber-bulling were public & as a youth activist I'm compelled to be involved. What do YOU think about whole situation? The singer, Justin Timberlake, released one-minute YouTube video confirmation of his much anticipated "comeback" to music. In the video, called "I'm Ready", Justin talks about his six-year break from music since his last album "FutureSex/LoveSounds" was released. During the video Justin explains: "Someone asked me the other day 'So, are you just done with music?' It means more to me than anybody else in the world. Look, I've only done two albums in 10 years: that's the way I really look at it... I'm the one who sits and is obsessive about it before you even get to hear it. As close as I get to it, I don't know that I could physically torture myself that much year-in and year-out and expect it to fulfill me the way that it does and the way that it is right now. I don't want to put anything out that I feel like is something I don't love, you just don't get that every day. You have to wait for it." Then he enters the studio, puts on headphones and says: "I'm Ready." January 14th: Justin is back with the new song featuring Jay-Z, called "Suit & Tie". The song was released on Justin's website for the comeback: countdown.justintimberlake.com and is now available on iTunes. 2012 has been a spectacular year of K25, so this is something special Kylie World made especially for YOU all - all the events to recall in one video. From Finer Feeling and On A Night Like This orchestral videos, Brits 2012, Anti Tour, Mardi Gras 2012 performance, Jack And Diane and Holy Motors movies and Cannes, TWO Alan Carr's Show appearances, incredible Diamond Jubilee performance, June USA visit including the exclusive TimeBomb performance during the New York Pride, 25th celebration of Kylie's Locomotion through the years, the release of My Year As Aphrodite documentary and Abu Dhabi set to Proms In The Park in September, the release of so much anticipated single for Flower and The Abbey Road Sessions, Nobel Peace Prize Concert and xFactor UK Final performances, and of course Especially For You Jason Donovan reunion, Christmas at Stirling Castle and New Year's Eve in Sydney! 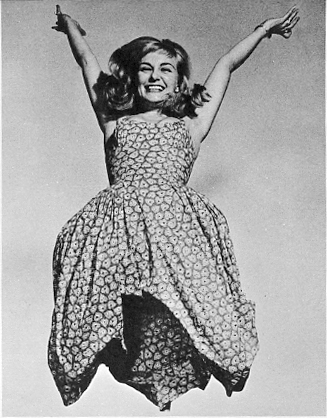 My first blog post this year is going to be about this really cool book I came across couple of days ago: the "Jump Book" by Latvian-born American portrait photographer, Philippe Halsman, which he dedicated to his "subjects who defied gravity". 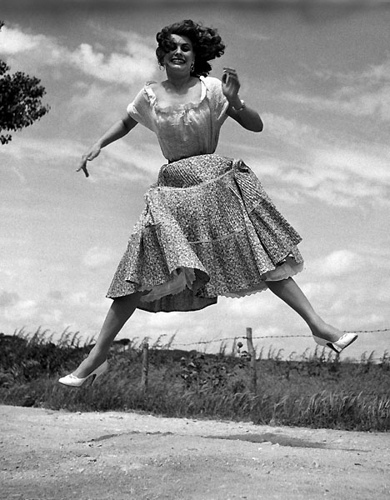 The photographer developed a philosophy of jump photography, which he called "jumpology". 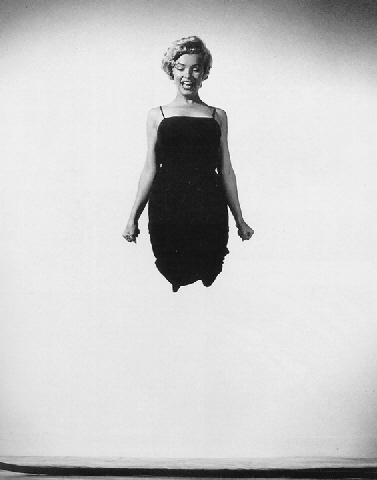 He published Philippe Halsman's Jump Book in 1959, which contained 178 photographs of celebrity jumpers. 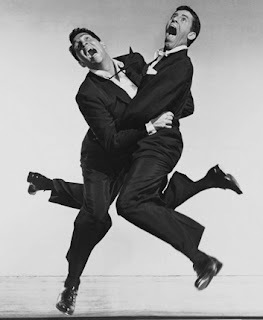 Halsman commented, "When you ask a person to jump, his attention is mostly directed toward the act of jumping and the mask falls so that the real person appears." I was commissioned by the Ford Company to photograph for its fiftieth birthday, the entire Ford family... There was the charming matriarch of one of the great American families, and suddenly, like a pang, I felt the burning desire to photograph her jumping. 'Are you going mad, Halsman?' I asked myself. "Will you propose that she jump—a grandmother and an owner of innumerable millions of dollars?" 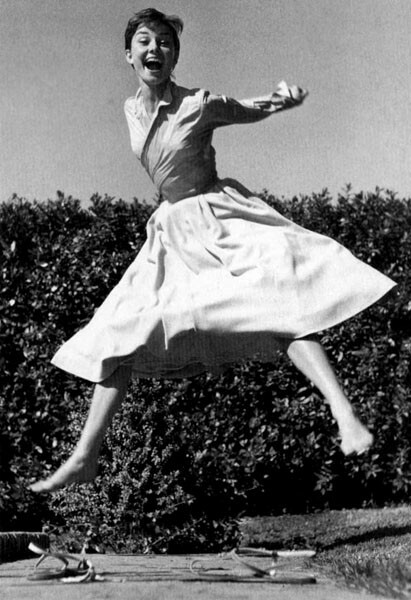 I asked Mrs. Edsel Ford, "May I take a picture of you jumping?" I have never seen an expression of greater astonishment. 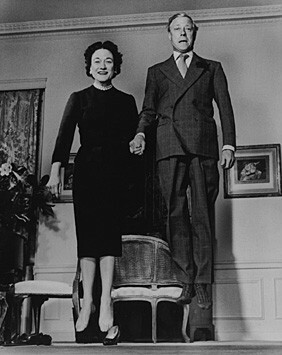 "You want me to jump with my high heels?" she asked incredulously. I explained that it was not obligatory. Mrs. Edsel Ford asked her children to excuse her and went with me to the hall. 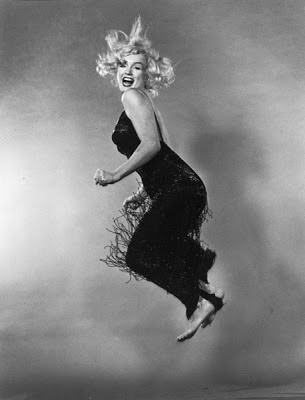 She took her shoes off and jumped gracefully a couple of times. Suddenly I heard the voice of Mrs. Henry Ford behid me: "May I also jump for you, Philippe?" A year and a half later I was telling René, my brother-in-law, that I already had a collection of sixty famous jumps and that I had not met with a refusal. René who is hopelessly French answered, "America is a young nation. Inside every American is an adolescent. But try to ask a Frenchman to jump. Il te rira ua nez - he will laugh into your nose!" 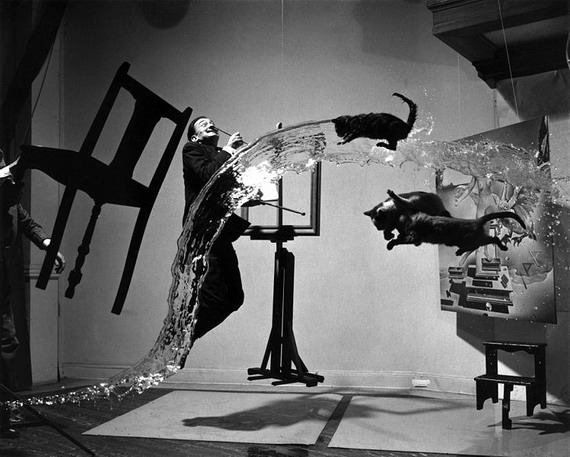 And now, enjoy the masterpiece photographs!